More than 80 women and men have served on Florida's highest Court since statehood in 1845. 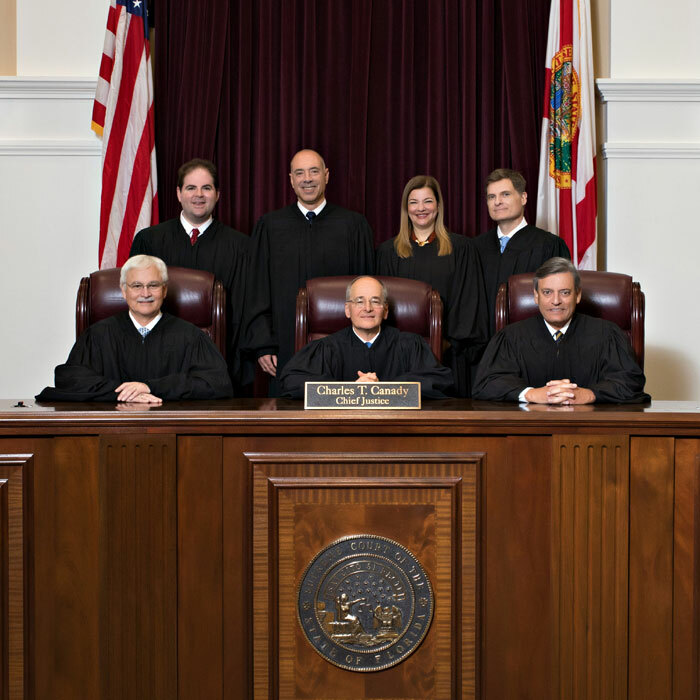 Read about the History of Florida Law and the History of the Florida Supreme Court. Few know it, but Florida law has a very ancient history. The Supreme Court seal has many symbols of the law and Florida. Portraits of current and former justices hang in the Supreme Court Building in Tallahassee. A large collection of art is displayed in the Supreme Court Building. The Supreme Court of Florida's architecture is inspired by Thomas Jefferson. Departments include the Clerk's Office, Office of the Marshal, Public Information Office, Law Library, and Office of the Inspector General. Employment opportunities at the Florida Supreme Court. The courthouse is open to the public and tour groups Monday through Friday from 8 a.m. – 5 p.m. It is closed on weekends and all state holidays. Getting here: address, map and driving directions to the courthouse. This form must be used to request use of any of the public areas of the Supreme Court building.